Two of my favourite things in the world are food and theatre. So naturally the two of them combined is like a dream come true for me! I’ve always wanted to check out Mysteriously Yours Dinner Theatre, but I haven’t had the opportunity until this past Saturday. I wasn’t really sure what to expect, and the entrance to the theatre didn’t give much away. All I knew was that the show was called Speakeasy! 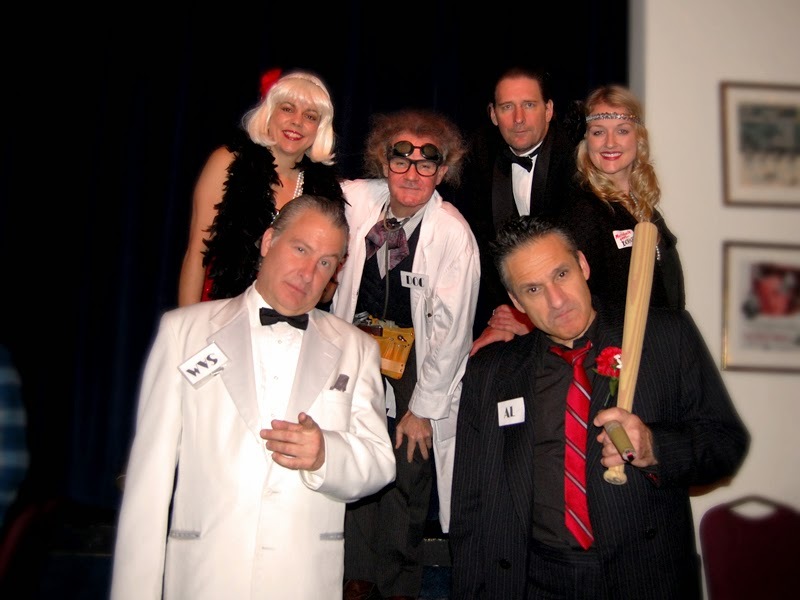 - A Roaring 20’s Murder Mystery. When I entered the building, I was pleasantly surprised to find an elegantly decorated dining room, complete with fringed lamps and 20’s era jazz music for ambiance. I perused the menu for the 3 course meal trying to decide between the two appetizers, the four entrees and the three desserts. 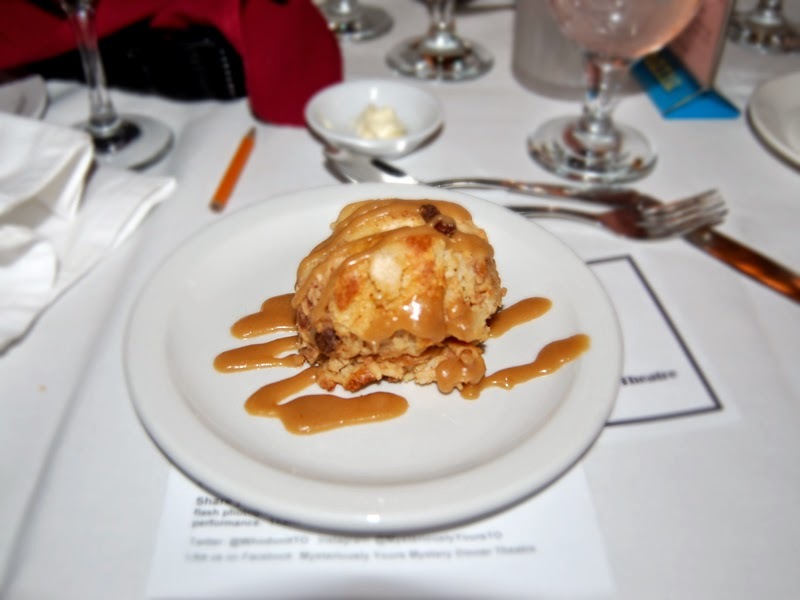 Eventually I went with the apple arugula salad, the meatloaf with mashed potatoes and the bread pudding. 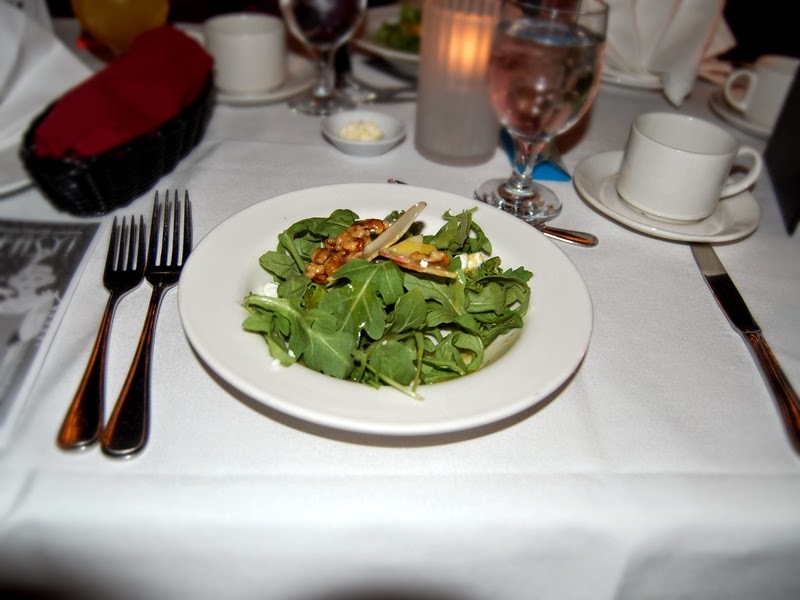 My friend also chose the salad, but went with the roasted chicken breast and the pumpkin tart for her choices. 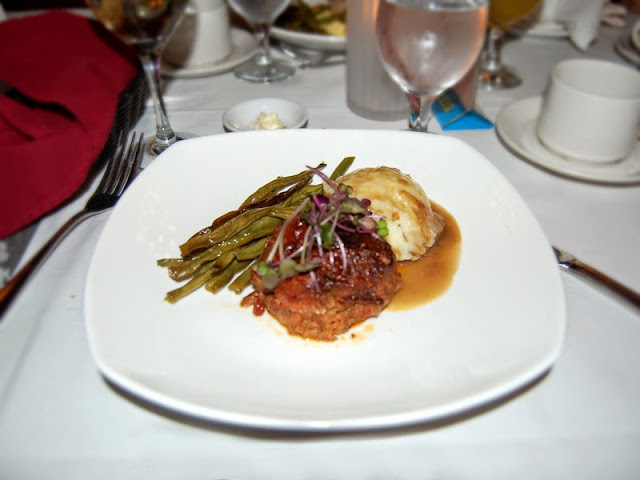 Both of our meals were delicious, and we were very pleased with the quality of the food. Clearly they take their dinner as seriously as murder! Just as we were finishing our dessert, the actors began to walk around the dining room in character so they could introduce themselves. We got a chance to speak with all of the characters and were lucky enough to take a picture with “East Side Marion” herself, the star of the show within the show. 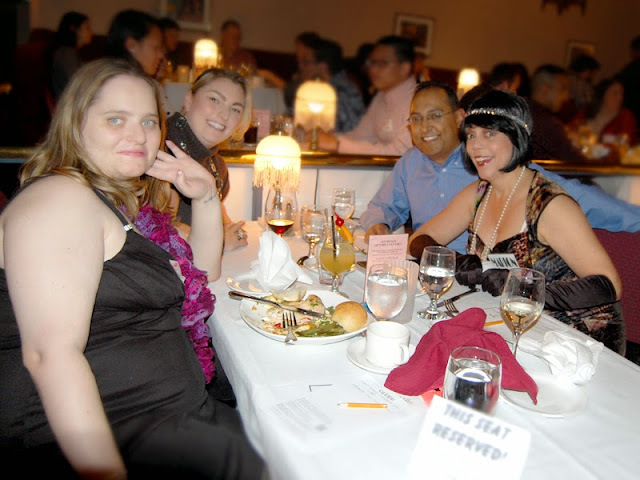 Fortunately, our tablemates were as enthusiastic about the mystery as my friend and I, and we all began to compare notes and speculate about what was going to happen before the show even began. 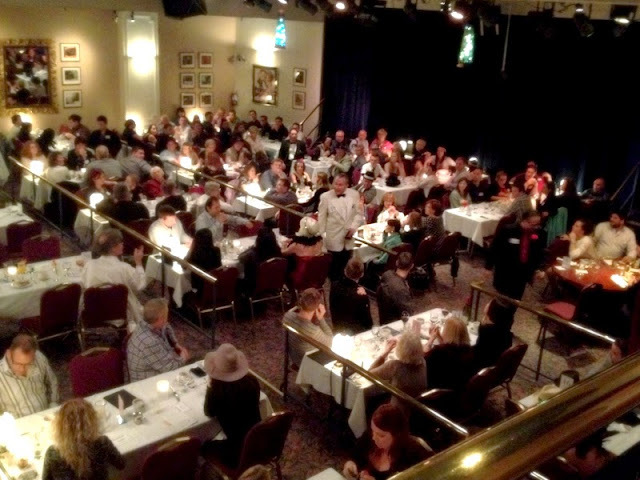 Unlike traditional theatre, the show didn’t take place on the stage, but all throughout the dining room. 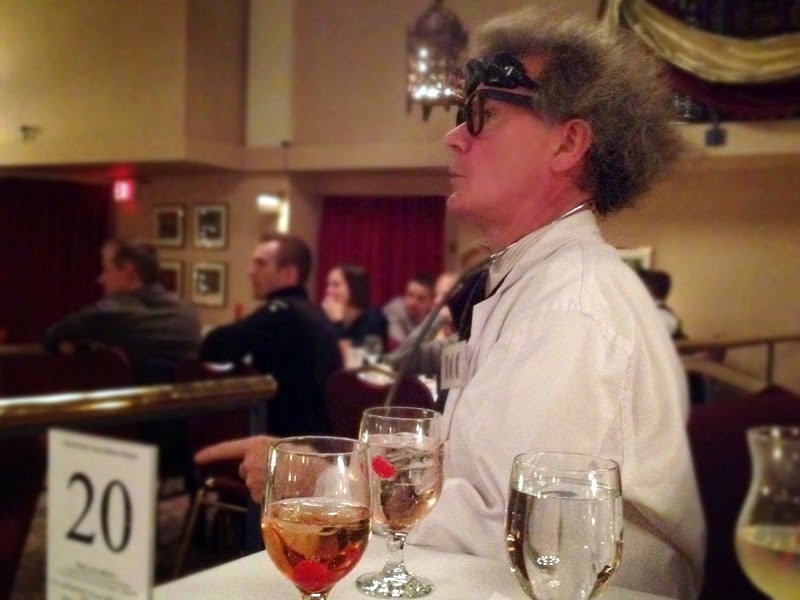 We even had one of the characters, “Doc”, sitting at our table for most of the evening. I don’t want to give too much away about the plot, but they somehow managed to combine a traditional 1920’s noir story with the Wizard of Oz, to hilarious effect. There were also a lot of Canadian and Toronto specific in-jokes that the crowd appreciated, plus a few “adult” double entendres (just a heads up if you plan on bringing kids). In the end, I didn’t guess the killer correctly but it was a really fun evening and I’m considering going back when their new show, Getting Hitched, starts in January. Speakeasy! 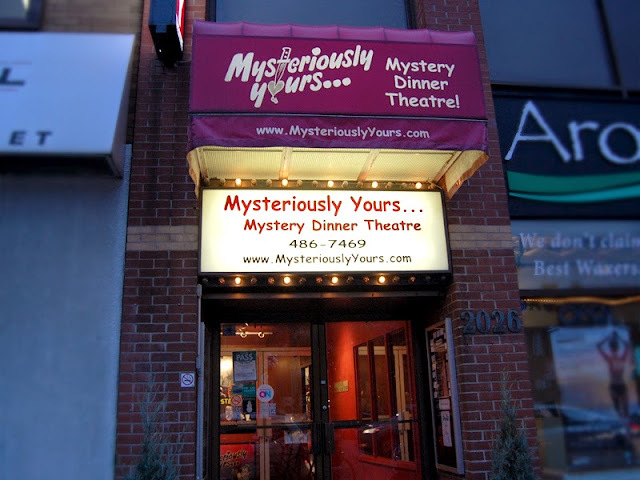 runs until January 3 at Mysteriously Yours Dinner Theatre at Yonge and Davisville. For more details or to purchase tickets, visit their website.